Relax and unwind in this family-friendly spacious home with 5 bedrooms, 3 baths, hot tub, sauna and lookout tower. Only 15 minutes from world-famous Yellowstone National Park! 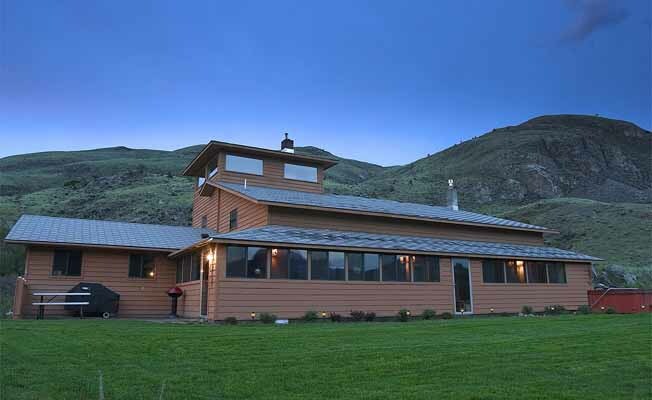 This sparkling clean home delivers comfort and relaxation to your Montana experience. Fully furnished with everything you need. Beautifully decorated. Great for children. 5 bedrooms 1 king bed, 1 queen bed, 1 double bed, 3 twin beds, 1 bunk bed, 1 toddler bed, 1 crib 3 baths Third-story tower with futon 6-person hot tub Cedar sauna Expansive kitchen with travertine marble island with seating for 10 3 living areas family room with home theater and 50-inch plasma TV Enclosed front porch Full-size washer and dryer VCR, DVD, movies, music We want you to feel right at home in Montana, so we have furnished Yellowstone Getaway with the details we hope will insure a most pleasant and memorable stay. This spacious, year-round guesthouse delivers comfort and relaxation during your vacation.